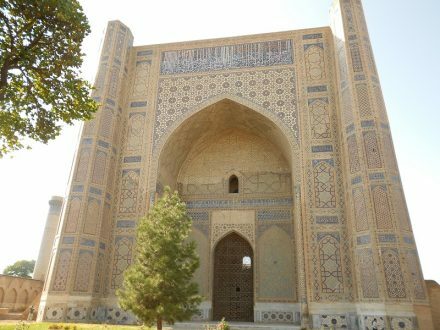 PRI Programme Officer Jenny Clarkin reports from Uzbekistan on a PRI training programme for social workers and members of the judiciary to improve the care and protection of children at risk. Leaving London behind on a mild autumn morning I embarked on the long journey to Tashkent, Uzbekistan. I’m here because PRI are currently working with UNICEF to train trainers from the Research Centre of the Supreme Court of Uzbekistan on delivering better justice for children. Coming into contact with the law is a frightening experience for any child. In Uzbekistan, as in other Central Asian countries, such children are often from poor and socially excluded communities and it is very often poverty itself and the struggle for survival that drives them to commit offences or to be taken off the streets and into custody. At present the juvenile justice system is poorly developed and with no system of family courts, children often do not receive the care and protection they need in situations of neglect, abandonment or family breakdown. Uzbekistan has a range of agencies with responsibility for the care and protection of children at risk, in contact with and in conflict with the law. The Commission of Minors and Agency for Guardianship and Trusteeship are responsible for cases involving children. However, their resources are limited and as there is no established and effective system of social workers, many children and families – who are already from some of the poorest sections of society – don’t receive the care and support they need. Judges of the criminal and civil courts have not received training on justice for children issues. UNICEF and government agencies have identified this problem and contracted PRI to design and develop training materials and deliver a train the trainers course for a group of trainers from the Research Centre who will go on to run a programme of training in 2013 for 200 judges on the rights of all children and the interrelatedness of children at risk, and those who are contact and conflict with the law. This week it was the turn of the judges, and PRI’s expert consultant, Judge Renate Winter, delivered a week-long training course for judges of the criminal and civil courts who deal with cases involving children using training materials prepared with input from a team of national experts. Assisted by the national experts and UNICEF staff, in the first half of the week Judge Winter trained future trainers of criminal court judges, covering key issues such as principles of justice for children, children at risk, diversion, the rights of children as victims and witnesses; detention and monitoring, and reintegration and rehabilitation. Following a day off for the Eid celebrations, the second training session was held for trainers of the civil court district judges. At present there is no family court system and although civil court judges regularly deal with family cases, they have very little training. This course covered common issues, including principles of child protection, children at risk and working with child victims and witnesses in civil and family law settings. The training also focused on children’s rights within the family and civil court jurisdiction and proceedings in this sphere. In early 2013 we will be back in Uzbekistan to deliver training to social work staff from the NGO SOS Village. Working with national social work experts and international social work expert Gary Westwater, we’re developing tailored materials to improve the knowledge of members of the Commission of Minors, juvenile police officers and member of the Guardianship and Trusteeship councils of the key issues in care and protection of children at risk, and increase their knowledge and understanding of the vital responsibility they hold in the assessment and follow-up of all children who come into contact with the courts or are placed in institutions, orphanages and baby homes throughout Uzbekistan.